In the last article on this blog, The Tortoise made some excellent and helpful observations for a new entrant into virtual worlds, especially for one who has been in SL (Second Life), then made a first foray into OpenSim worlds like OSGrid and others. There are some differences that are immediately seen, and others that are more subtle. There is one huge difference between SL and the majority of OpenSim grids: the ability to create and run your own full sized region (just like SL) and attach it to the grid of your choice. From this region you can then travel the Metaverse as a landed resident of your grid. There were some other issues mentioned in the last article that are not entirely true. I want to clarify those things. I have passed items across grids from my avatar to others on my contacts list while both avatars were on their home grids. Admittedly it can be tricky at times and often fails, but it is possible to pass items across grids. It is helpful to be sure both are online at the time the transfer is made. Open an IM conversation first to make sure contact is established. If both of you are from the same grid and one travels to get an item on another grid, be sure to open an IM before leaving the grid. This helps the transfer. If the person staying behind has to relog for some reason, contact will probably be lost and a transfer will likely fail. All of the grids have one thing in common regarding hypergridding. Hypergridding is basically teleporting between different OpenSim grids (the home and destination grids must both be "Hypergrid enabled") - this is not possible with closed grids like Second Life. Once your avatar has left the home grid, your home grid sees you as logged out. If a contact on your list logs out and then returns while you are hypergridding, they will see you as offline until you return to your home grid. In this case transfers, teleport offers and IMs will mostly fail. It is also true that you must be on the same grid to initiate a contact offer. Not all grids handle your trash folder the same way. OSGrid requires that you use the web page to empty your trash folder. My personal grid allows trash to be emptied in world and does not return following a relog. Avatar inventories are stored on the grid servers and not on an individual avatar's computer. If you operate a region attached to the grid, the items that are rezzed out on the ground are stored in the region's database, not in the grid asset server. Your inventory can be backed up on another avatar in another grid by passing items. It also can be stored as an IAR file. An entire region can be backed up as an OAR file. IARs and OARs have to be created on a region that you operate, or it can be done for you by the region's operator. To learn procedures for these and other operations in any OpenSim grid, visit the grid's website. Here is a listing of the largest grids. 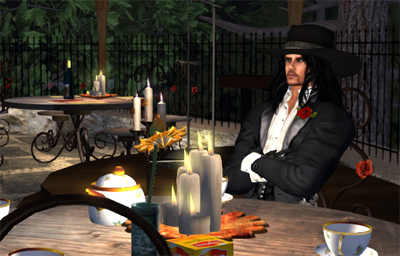 The best news is this: OpenSim residents are mostly friendly, interested and helpful. They are not concerned about making an income and are usually willing to share their finds and creations. Get out and meet people by going to regular grid events such as the Friday Party in OSGrid, or the Maritime Club on Sunday at 2 PM Grid Time (equates to SL Time, or Pacific Time). Ask questions and try things. 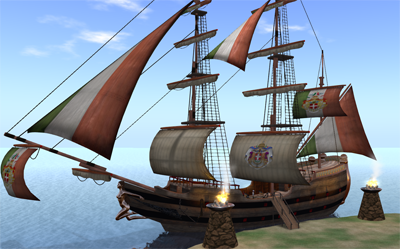 When I first came to OSGrid from SL - it was much like packing up the covered wagon and heading west during gold rush days in the United States. OSGrid has come a long way since then. Thank you for clarifying, Danger. I got the 'Trash' and 'Inventory location' information off the blog 'The Virtual World Technologist', and did not realise it applied only (?) to OSGrid. Apologies, all readers!